Mikhail Kosenko had asked that the court hearing be held in closed chambers. Ushakova was part of a panel of doctors who changed Kosenko’s diagnosis from “sluggish schizophrenia”* to paranoid schizophrenia. Ushakova says openly that the diagnosis was changed, among other things, on the basis of documents sent to the doctors by a major case squad investigator. 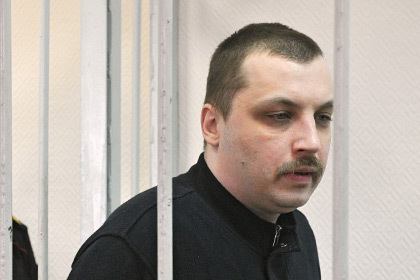 Kosenko faces a sentence of compulsory medical treatment if convicted. 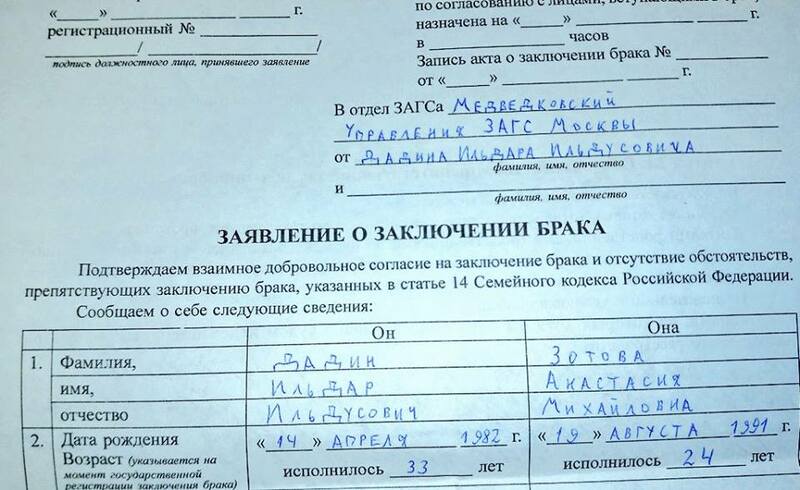 On September 10, the court refused to grant Mikhail Kosenko a temporary release to attend his mother’s funeral. Letters sent to inform Kosenko about her illness were not handed over to this “prisoner of May 6”: the prison censor failed to pass them. 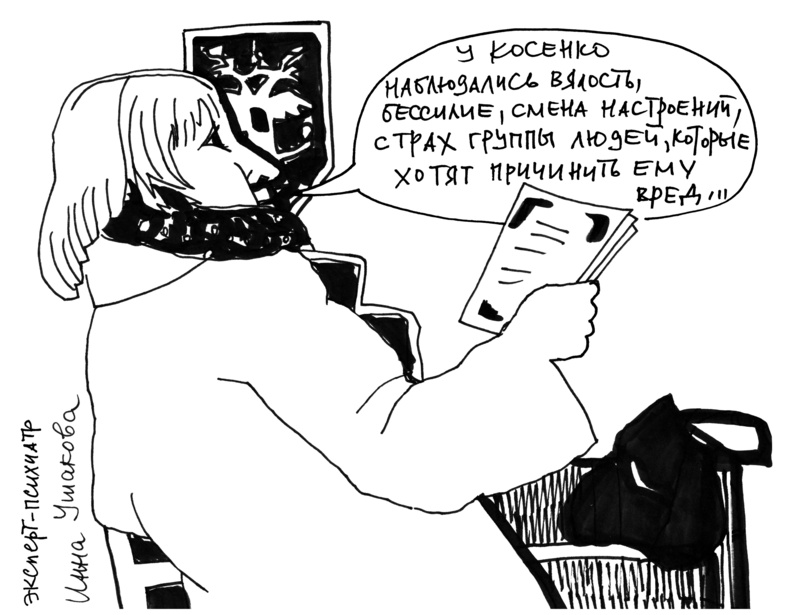 * Sluggishly progressing schizophrenia or sluggish schizophrenia (Russian: вялотеку́щая шизофрени́я, vyalotekushchaya shizofreniya) is an independent diagnostic category that is characterized by a slowly progressive course and included in the systematics of schizophrenia developed by Soviet psychiatrist Andrei Snezhnevsky and his Soviet colleagues. This diagnostic concept was limited to the USSR and some other East European countries. Sluggish schizophrenia is not included in the 10th revision of the International Statistical Classification of Diseases and Related Health Problems (ICD-10) used in western countries; however, its Russian version adds sluggish schizophrenia to schizotypal personality disorder in section F21 of chapter V.
Psychiatric diagnoses (such as the diagnosis of “sluggish schizophrenia” in political dissidents) in the USSR were used for political purposes; the diagnosis of sluggish schizophrenia was most frequently used for Soviet dissidents. Critics implied that Andrei Snezhnevsky designed the Soviet model of schizophrenia (and this diagnosis) to make political dissent a mental illness. According to American psychiatrist Peter Breggin, the term “sluggish schizophrenia” was created to justify involuntary treatment of political dissidents with drugs normally used for psychiatric patients. According to Robert van Voren, the political abuse of psychiatry in the USSR arose from the concept that people who opposed the Soviet regime were mentally ill (since there was no logical reason to oppose the sociopolitical system considered the best in the world). The diagnosis of sluggish schizophrenia (a concept developed by the Moscow School of Psychiatry and its chief, Andrei Snezhnevsky) furnished a framework for explaining this behavior. Although a majority of experts agree that the psychiatrists who developed this concept did so under instructions from the Soviet secret service KGB and the Communist Party (and understood what they were doing), this seemed to many Soviet psychiatrists a logical explanation why someone would be willing to abandon his happiness, family, and career for a conviction so different from what most individuals believed (or made themselves believe). Professor Snezhnevsky, the most prominent theorist of Soviet psychiatry and director of the Institute of Psychiatry of the USSR Academy of Medical Sciences, developed a novel classification of mental disorders postulating an original set of diagnostic criteria. During oral arguments in the Bolotnaya Square case, the federal prosecutor requested that Mikhail Kosenko be subjected to compulsory psychiatric treatment, reports RAPSI Legal News Agency. The prosecutor asked that the defendant be found guilty of violating Article 212 (involvement in mass riots) and Article 318 (use of violence against a representative of the authorities) of the Russian Federal Criminal Code and sentenced to compulsory psychiatric treatment. According to the prosecution, Kosenko “heeded appeals [sic] and took part in mass riots,” thus slightly injuring a riot police officer. Kosenko suffers from sluggish schizophrenia [sic], but his relatives argue that he does not require compulsory treatment. They have asked that he undergo another psychiatric examination. Previously, he was found mentally incompetent. Earlier, two riot police officers summoned by the court to testify in the Kosenko case were unable to identify him. One of them, complainant Alexander Kazmin, testified that during the clashes on Bolotnaya Square, he had been thrown to the ground and could not remember his attackers. Kazmin added that even if Kosenko had injured him during the riots, he would not want the accused to go to prison. Kazmin’s testimony was corroborated by his colleague Roman Puzikov. However, Kosenko was identified by two other complainants, riot police officers Maxim Sanayev and Sergei Lukyanov. In early September, the court refused to grant Kosenko a temporary release to attend his mother’s funeral, arguing that he suffers from a mental disorder and could present a danger to society. Mikhail Kosenko’s case was separated from that of the other defendants in the case of the May 6, 2012, riots on Bolotnaya Square, because he was declared mentally incompetent. Along with him in the dock are twelve other defendants, who face hefty prison terms. Two defendants in the case have already been sentenced to prison after making deals with investigators. Around thirty people have been detained or charged in the Bolotnaya Square case, and most of them are still under investigation. Our thanks to Victoria Lomasko for permission to reproduce her sketch here. UPDATE. Amnesty International has just declared Mikhail Kosenko a prisoner of conscience, along with two other Bolotnaya Square defendants, Vladimir Akimenkov and Artyom Savyolov. More details here.